Page 4 of “More Dread Part 1 ” for Cape Fear Comics. 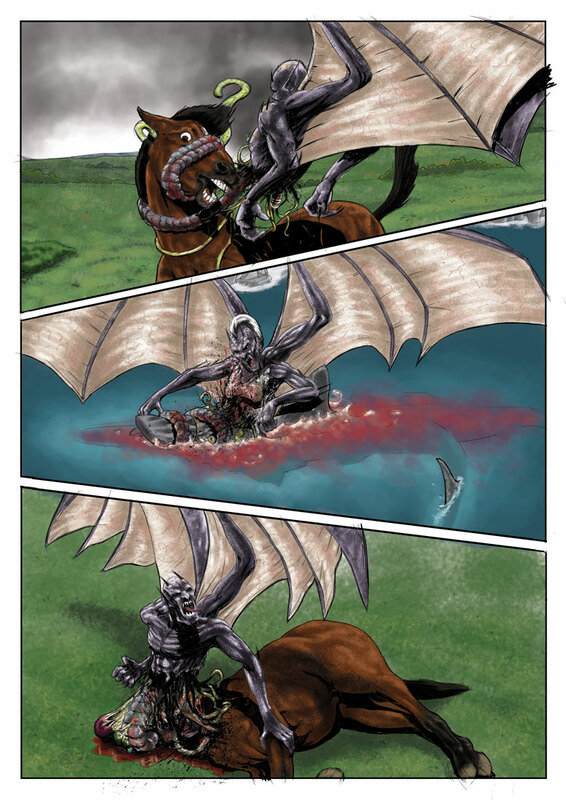 Page 3 of “More Dread Part 1 ” for Cape Fear Comics. 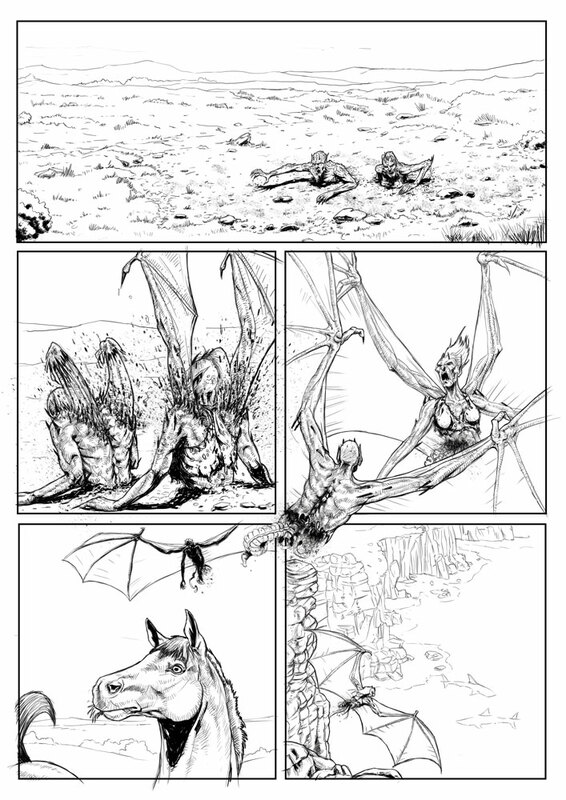 B&W inks Page 1 of an Arthurian fantasy/horror comic story “More Dread Part 1 ” completed it for the guys at cape fear comics. 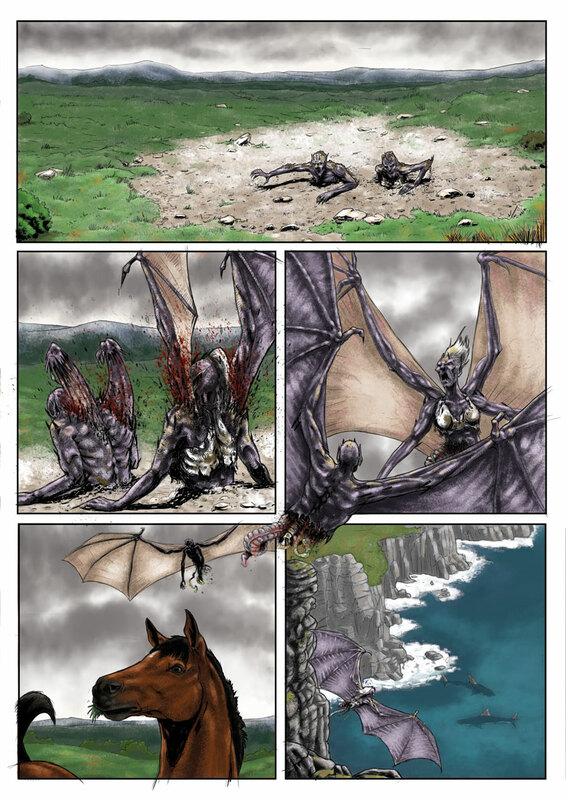 Page 1 of an Arthurian fantasy/horror comic story “More Dread Part 1 “. I completed it for the guys at cape fear comics. Gore and creatures made this a lot of fun.